Tomball TX, home of the beautiful Klebb Woods Nature Preserve, the ever popular Main Street Crossing, and the historic Tomball Museum Center, is also home to thousands of residents who love their homes and making them as beautiful and unique as possible. 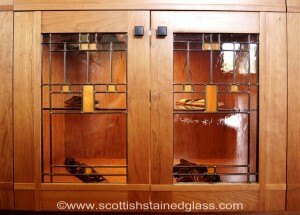 Which is where we come in with our custom designed, hand crafted stained glass windows and doors. Unlike stained glass ordered from an online catalogue or big box store, our product is designed to each client’s tastes and specifications. Whereas one client might want a dramatic Art Deco design, another might want to bring some natural beauty into the home with a floral pattern. And yet another client might be a big fan of the stained glass designs of master architect and designer Frank Lloyd Wright. We meet with each client one on one, in the comfort of their own homes, to discuss their tastes, what they are hoping to add to the room with the installation of stained glass, and what their favorite types of styles and designs might be. 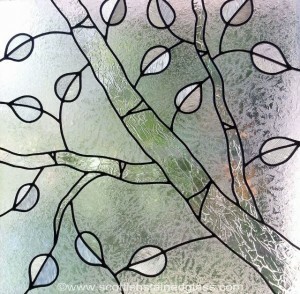 Clients can choose from a wide variety of photos of stained glass designs that we have already created, use these designs as a jumping off point to create something unique, or have different ideas altogether. We work with homeowners, business owners, houses of worship, interior designers, architects and builders, and anyone who loves beautiful stained glass. Although we do create the kind of vividly colored religious stained glass people first think of when they hear the term “stained glass windows,” we also create leaded stained glass, which is usually made with clear glass, frosted glass, or beveled glass. In short, colorless stained glass. This is the most popular choice in most residences in Tomball Texas. It can add privacy and light, while working beautifully with any color scheme. Leaded stained glass is an elegant residential option for those who want stained glass that lends beauty and style to a room without being too loud or colorful. When it comes to our commercial Tomball clients however, the more colorful the better. We create stained glass that makes a major statement in a restaurant, office, shop, bar, hotel, or any other kind of commercial or retail establishment. Stained glass doesn’t have to remain confined to windows, either. We can build custom installations for doors, including French doors, skylights, ceilings, hanging panels, signs, lighting, and much more. Stained glass windows are a tradition across Texas, as witnessed by some of the stunning stained glass found in houses of worship in Houston and Tomball’s own First Baptist Church Tomball on Houston Street. We hope that you will call us for the most beautiful, hand crafted stained glass in Tomball Texas.